The word Vesica being Latin, it only shows up in English etymology as the root of a few English words. “A blistering agent”… from vesica “a bladder, a blister” (see ventral). “small, bladder-like structure”… diminutive of vesica “bladder, blister” (see ventral). … diminutive of vesica “bladder” (see ventral). All three words above refer us to the word ventral, which also has Vesica as a root. 1739… “of or pertaining to the belly or stomach,” from Latin venter (genitive ventris) “belly, paunch; stomach, appetite; womb, unborn child,” from PIE *wend-tri- (cognates: Latin vesica”bladder,” Sanskrit vastih [vasti means crazy in Samoan] “bladder,” Old High German wanast, German wanst “paunch, belly”), perhaps from root *udero- “abdomen, womb, stomach” (see uterus). The meaning ‘bladder’ makes Vesica synonymous with quite a few English words, including cyst. A bladder is often called a gall bladder or gall and gall means bile which is what you find in a bladder. That is, urine before it is expelled. The destinction is nessisary as there are others. Such as the swim or air blatter of the fish, as mentioned above, which is used for buoyancy. Although the title Vesica Pisces is more directly related to the urinary bladder of a fish, as the gall bladder of fish is the only known bladder to be shaped like a Vesica Pisces. That the 153 fish story takes place at the shore of the Sea of Galilee, Peter being one of the fisherman in it, along with the story of Jesus calling Peter and his brother from the same sea, is quite the coincidence. First of all, because gal can mean bile, thus rendering a see of bile. Second is that the root of Galilee is ‘galal’, meaning roll away. It is is well known, that the Greek name Peter means rock or stone. What is not recognized is the placement of Jesus naming “Simon Bar Jonah” as ‘Peter’ in Mathew 16:18 (Phi), and stating “upon this rock I will build my church. In other words, the founding of the Papacy and the Entire Christian Church is stamped with the mark of nature, the spiral of existence if you will. When Peter, the stone, is in the sea of Galilee, one can extract two meanings. One is a gal stone. The other, prophetic to the resurrection, is a stone rolled away. Goliath comes into play also, as he was killed by a stone between the eyes, directing us again to the penial gland. The origin of his name is ‘gallah’, which means uncover, like a stone rolled away from a tomb and as in the uncovered face of Tobis or the uncovering of the film over his eyes. The Hebrew language also has the word (Strong’s H1553) ‘Geliloth’, a clear reference to the Chalice in meaning circles. Now, a look at the etymology of gall. “bile, liver secretion,” Old English galla…”gall, bile,” from Proto-Germ *gallon “bile”… from PIE root *ghel-(2) “to shine“… referring to bright materials and gold…(see glass)…sense of “impudence, boldness”… meaning “embittered spirit, rancor”… from… theory of humors. Now, why would such a sacred symbol’s name, by popular reference, become, 1 such a disgusting thing, and 2 something most have never seen and could not identify if they did and 3 combine the grotesque with shine and gold? It’s not as if their are no other manifestations of this shape in nature. The orifices of the body have already been mentioned above. Although there are many more. Above were a few etymological references to plants and oak, conjuring trees. Knots on tree trunks are often developed in the image of the Vesica. Interestingly enough, tree trunks also find their way into the etymological branches of ‘Vesica’, via several different roots. 1. From the etymology of the word bladder we are prompted to view the word blast. 4. One of the meanings of ventral is belly. These four words (blast, blister, blow and belly) all direct the reader to see the word ‘bole’. It is here, in the roots of the word ‘bole’, where we find the meaning ‘tree trunk’, and quite a bit more. Yet again, there is much etymological content that could potentially inspire the blowing of chunks. The most prolific meaning in ‘bole’ is the concept of growth and it brings us back to an important quality of ‘Vesica’. That is in it being the geometrical building block of all things. The verb ‘cushion’ is of interest to note, as it dates back to 1730 and may refer again to the back-side. Simultaneously, within the context of the story of Tobias (11:11), the noun’s etymology is much more interesting. The Vesica often appears in a certain spiritual form of art called the mandalla, which comes to mind when reading about the Greek word for almond. The pineal gland sits in the center of the vertebrate brain. From an evolutionary perspective the most important exception is the hagfish. The pineal gland is the only part of the brain that does not have a twin. That is, it is not a pair of grey matter organs mirrored on opposite sides of the brain, but a cingular center around which the rest of the brain grows. 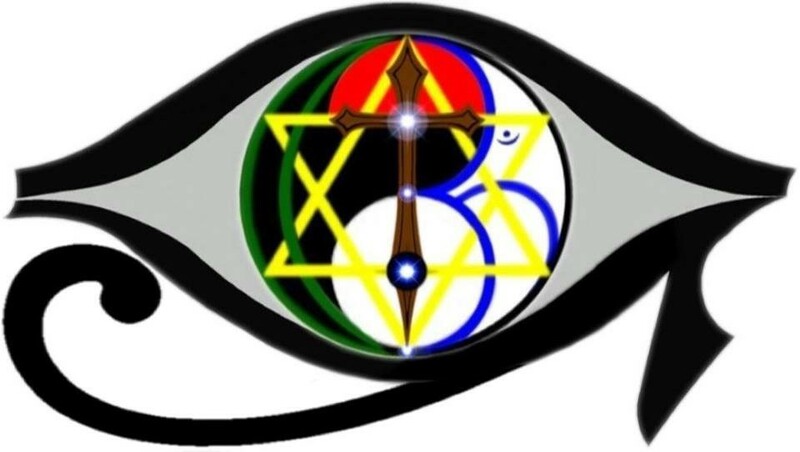 The shape of the gland has it also commonly associated with the Vesica Pisces and other names for the pineal gland are third eye and third ventricle. 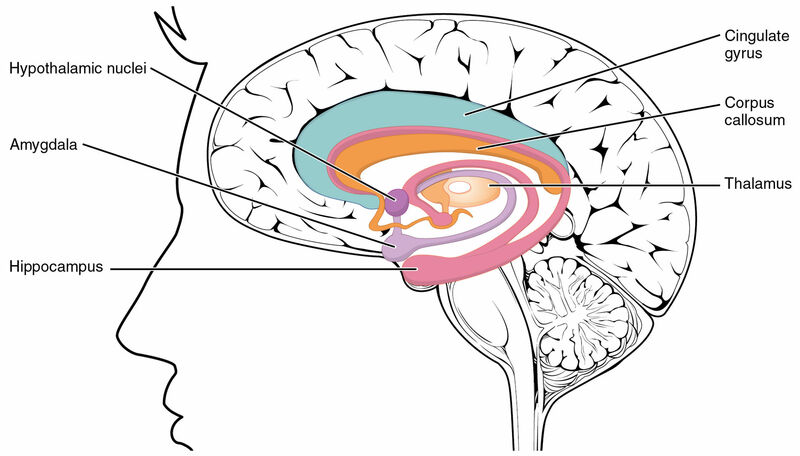 This organ is connected to the hippocampus and amygdala, which both spiral out around it. As if they sprout as trees, from the pineal as their seed. Two trees sprouting from a single pine seed would be twin pines. Keep that thought in mind, in the back, for the future. 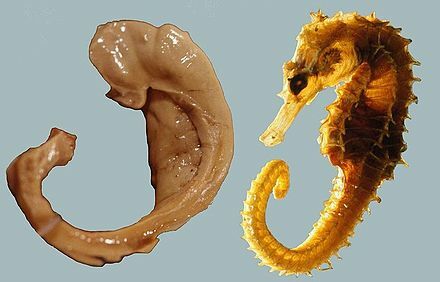 The hippocampus is named after the seahorse for its appearance. The word comes from the name of the, half fish (or dolphin) and half horse, equine that pull Poseidon’s chariot. Those half dolphin, half horse creatures, called ‘hypocampus’, lead briefly away from ‘mandorla’; raising the opportunity to quickly, yet completely, cover the word ‘Delphos’. One of the seemingly most appropriate, yet least common words used as a title for the Vesica Pisces. ‘Delphos’ translates from Greek as both “womb” and “dolphin. ‘Womb’ can mean belly, bowels, heart or uterus. Quite the paradox. Old English wamb, womb “belly, bowels, heart, uterus,” from Proto-Germanic *wambo… …of unknown origin. Back to the second of the twin pines. The amygdala is named for its resemblance to an almond. Although the amygdala’s tail gives it more the look of sperm, or sapling, which makes the name amygdalos (almond tree) seem more appropriate. 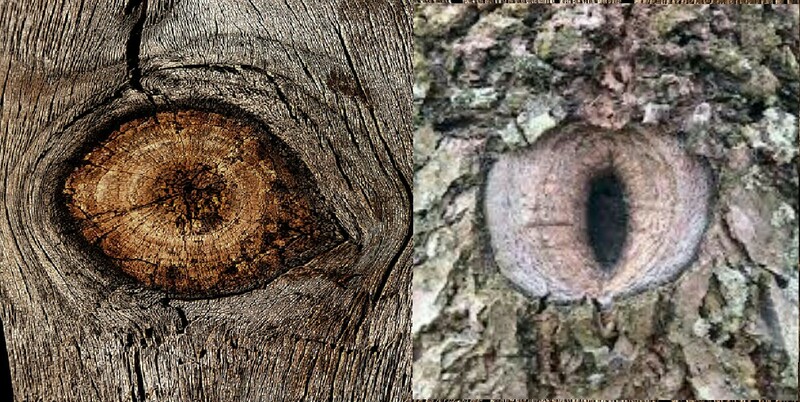 Recall the 173 in the square root of three, the ratio of Vesica Pisces, relate these to the third eye; and finally, the next paragraph begins the etymology of the word tree, within which the first date is 1530. Also, tree comes from treo, resonating with three again.